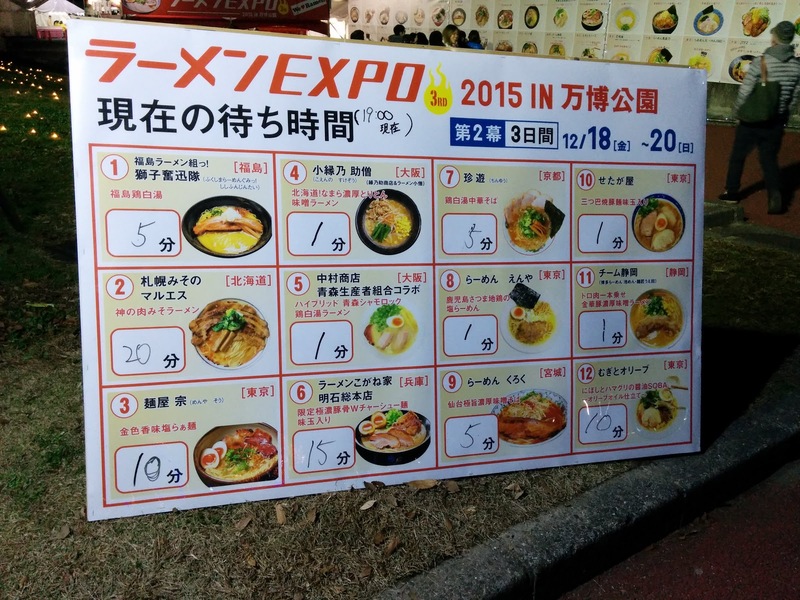 In my previous two trips to the Ramen Expo, my friends and I collected enough stamps to get two free bowls of ramen. I hadn't planned on making a third visit, but I guess I had no choice. This trip I gave in completely to my impulses. Two bowls of miso. The first from quality Sendai shop, Kuroku. My miso combo was off to a bang. This miso bowl was less like the grainy bowls I'm used to, but was thick, dark, and garlicky like the miso used for Nagoya specialty miso katsu. 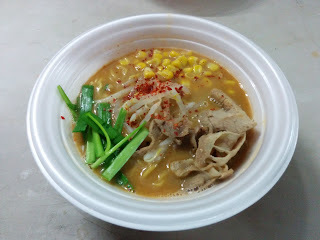 The knotty yellow noodles and thick pork that extended across the diameter of the bowl fit the theme. 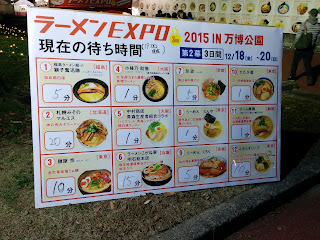 The light piece of tsukune chicken, however, did not, but it was delicious, so I don't care. My second bowl was a collaboration between two Osaka shops aiming to produce a Hokkaido-style bowl that warms you up on a cold day. Ennosuke Shoten and beloved Kozo combined forces to produce the following bowl. This was certainly more in the vein of what I was used to. Bean sprouts, garlic chives, fatty thinly cut pork, and of course corn. The broth was more standard, too, though a bit too salty to drink on its own. 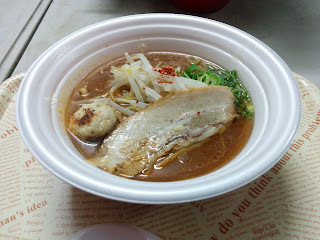 If the two chefs were going for standard Sapporo style ramen, they nailed it.